We pull our skeletons from their closets in this embarrassingly honest (and pretty funny) look at our first websites. We all remember our first time. We were young and learning as we went along. Awkward, frustrated, and a little embarrassed, we were just glad when it was over. Our first time building a website, I mean. Come on – what were you thinking? Seriously. My first website was built around ‘94 or ‘95; and apparently, the last update was on 6/20/97. It was hosted on one of Arizona State University’s servers at www.public.asu.edu/~rtarr. Sadly, this account is no longer active. I wrote all of the code in vi on the server (insert snarky comment here about people currently moving back to vi). The year was 1995. I had picked up a book titled Teach Yourself HTML in 10 Minutes a few weeks earlier. If you wanted internet access at home, you used AOL. Since there was a young lady that I wanted to impress with my awesome skills, I built her a website. It was only one page built using whatever text editor was available on Windows at the time. 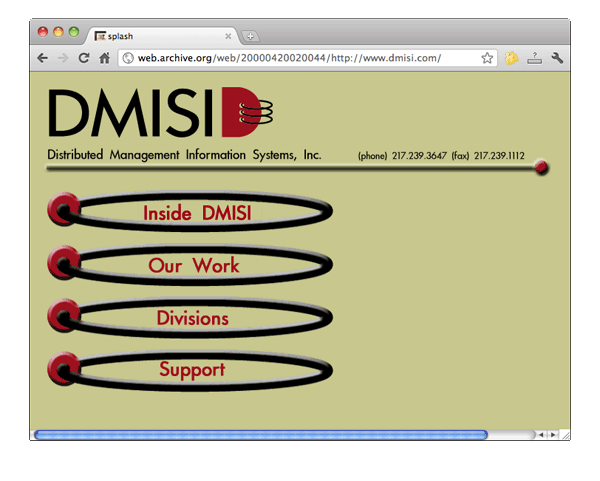 It took me forever to build, but I eventually delivered her a new page that proudly said “Built by Rob” in the footer. I figured out how to put her site up via AOL. Now, I know what you’re thinking, “What sort of dork tries to impress a girl with a website?” Well, this dork was sure that it would win her heart. To make a long story short, I ended up building pages for a few of her friends, but she never did fall for me. This is kind of boring. The first site I built was for my mom and dad’s podiatry office in Beavercreek, Ohio. You can check it out for yourself in the Wayback Machine here. It’s from 2001, and I remember being very proud of it. As I pulled out my modern front-end dev tools to inspect my handiwork, I noticed that I did have my styles defined outside of the HTML. I guess that’s a good start, even if the layout was done with tables. 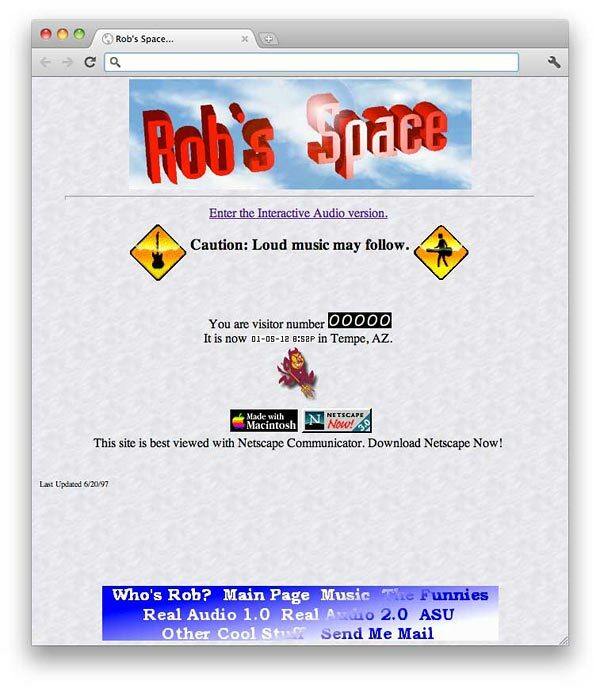 I stumbled through my first site in late ‘99. My cousin had an I.T. company in Champaign, IL that needed a website. I was a college freshman design student on winter break, so he invited me to stay with him for the week and build his business a website. In return, he said he would buy me a Mac G3, a copy of Photoshop, and teach me some basic HTML. I had no idea what I was doing, but I couldn’t refuse a new Mac. I designed and built the thing entirely in Photoshop. I must have discovered “bevel and emboss” at this time as well, because the entire site looks like it’s cast in plastic. I used Photoshop slices and the “export HTML” feature, then cleaned up the HTML by hand. It’s not pretty, but I got through it. And I rode that basic web knowledge (as well as that G3) for as long as I could afterward. To be honest, I had a hard time remembering my first actual website. When I was in high school, I experimented with HTML and CSS, and I also helped work on the school website. However, I didn’t really create a useful website until college. While attending college, each student had 10MB (!!!!) of webspace available to them. I decided to use mine as space for a basic blog. It wasn’t database driven; it was static HTML. 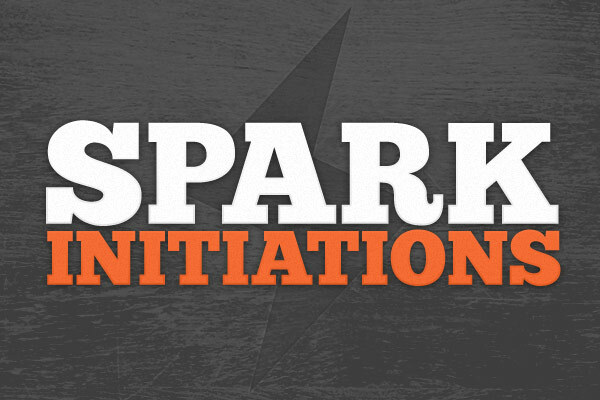 The design was pretty basic (dark gray with light gray sans-serif type), but it was clean. It was also a comedy site. My roommates and I would contribute to it on a weekly basis, discussing everything from cafeteria food to music and movie reviews. I might have been trying to mimic the Something Awful comedy site model at the time, but my site existed as an exercise and side-project for a small circle of friends. 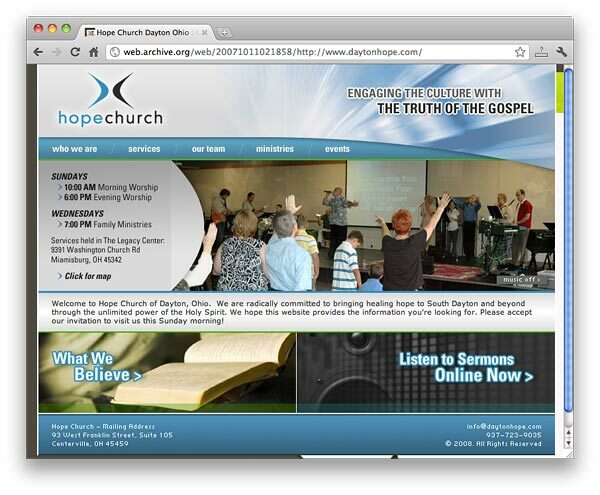 My first site was for a local church, and I built it in Dreamweaver. It even had some (highly unnecessary) Flash navigation. I think I did it in ‘07. Check it out here in the Wayback Machine. 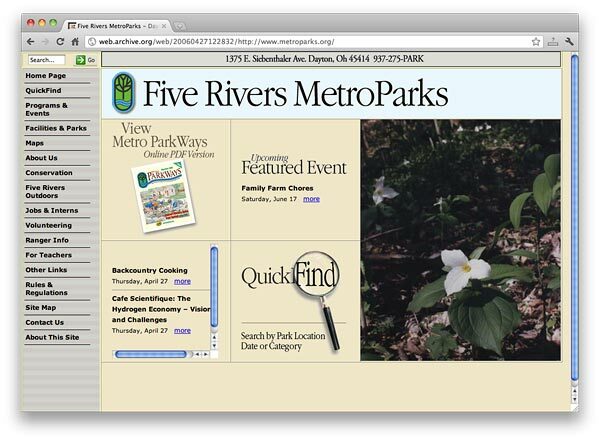 The first website I designed and managed the creative direction for was Five Rivers MetroParks in the late nineties. It was a site that needed to present all 26 park locations on their own site as well as the main corporate Five Rivers site. I proposed one database-driven site that would allow visitors to filter or search the entire park system by activity and/or location as well as propagating individual park pages, such as “Germantown MetroPark.” It also had a custom CMS that allowed them, for the first time, to manage content, event info, and scheduling of all 26 park facility events. Needless to say, this was a huge undertaking, was way before its time, ran way over budget, and was finally implemented a year late. It was later scrapped because the outside development company oversold, under delivered, and never got all the bugs worked out.